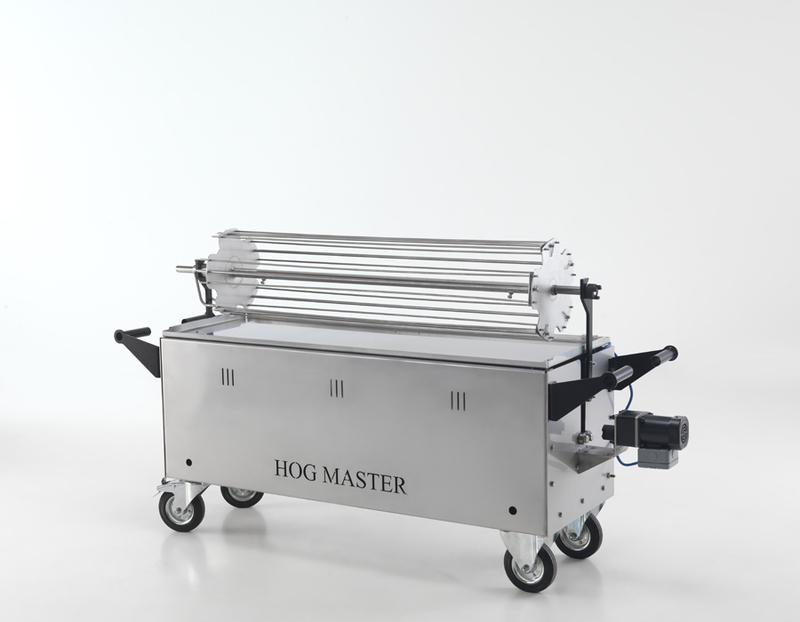 This machine will produce a gorgeous pig and delicious crispy crackling everytime. 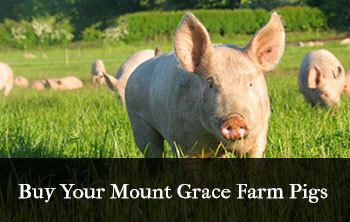 It is effortless to use, simply pop in your pig, close the lid and turn it on. Then when you are ready to eat open him up and to find a perfect hog ready to raise up into the serving position. 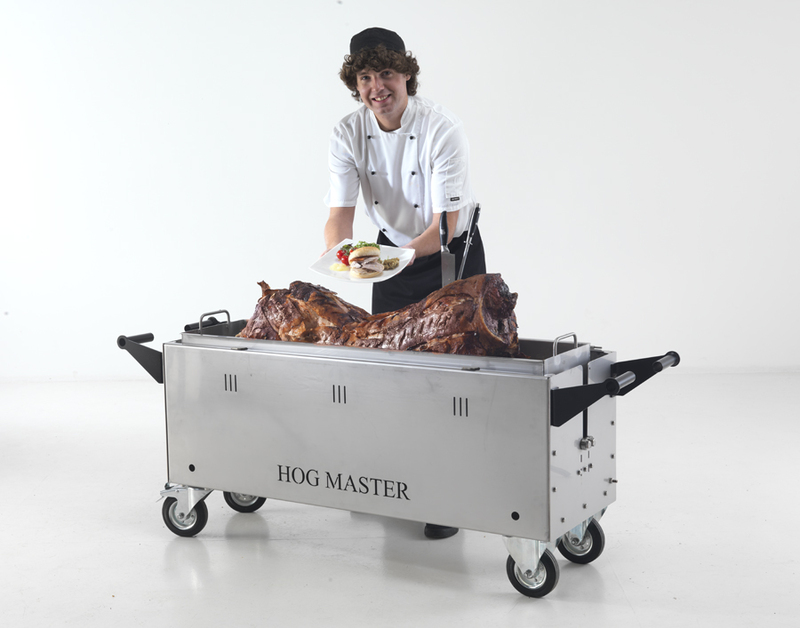 The Hogmaster can be paired with some fantastic attachments to make it a muni-function oven. 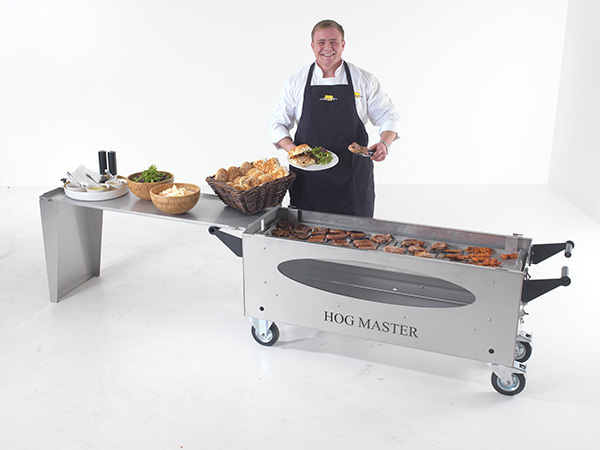 Our most popular attachment is our BBQ kit which can be used as a stand alone BBQ or to load your BBQ with potatoes and extra food whilst still cooking your pig. 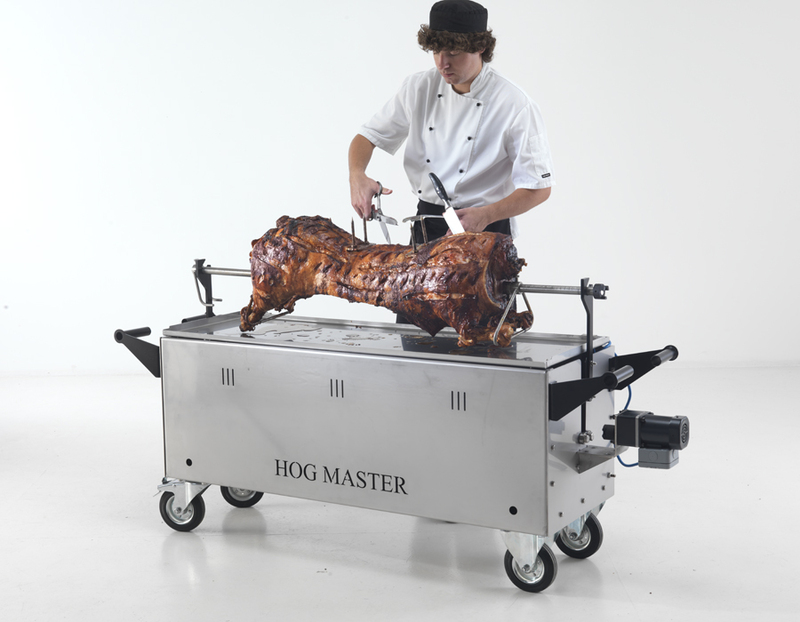 The most traditional method fis a spit roast and the Hogmaster is ideal for spit roasting whole pigs. It is a fantastic theatre piece for the party guests and really draws in a crowd as the guests are getting hungrier and hungrier watching the pig slowly rotate. 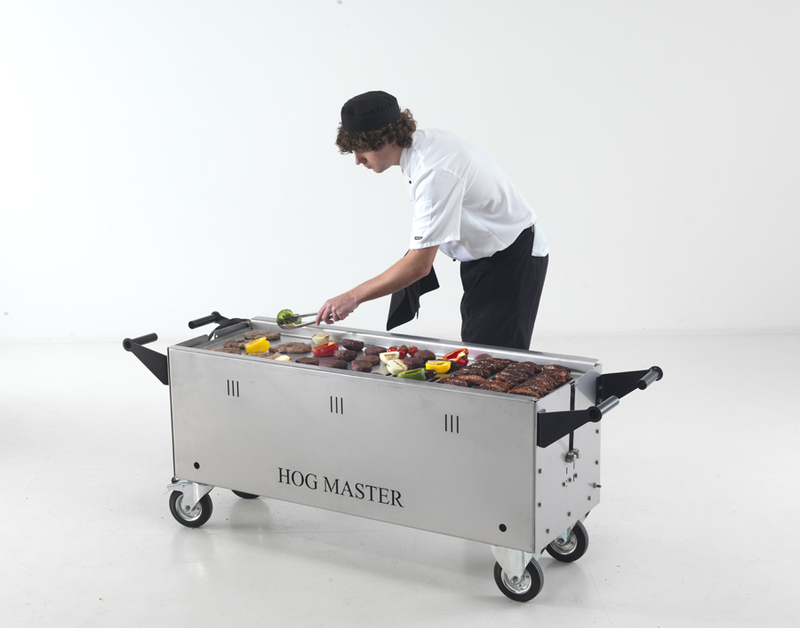 Your Hogmaster lid can also be used as a stainless steel serving table, all you need is our table support and it couldn’t be easier to set up. It’s a great option when catering mobile to ensure that you travel lighter and don’t need to worry about forgetting your table! 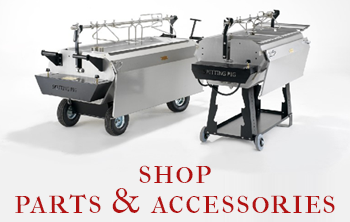 With our versatile chicken spit attachment you can cook 36 chickens, joints of meat or suckling pigs as an alternative. It is a fantastic option to be able to offer. Really goes to show what this machine is capable of doing.